Used to create advanced production technologies and automated processes that operate with minimal human intervention, mechatronics touches numerous fields of technological innovation: from digitization, robotics and additive manufacturing to clean technology and smart industry. Whichever type of know-how, talent or other enablers you need, Flanders has you covered. Looking for innovative support in mechatronics research? Look no further! Flanders Make, one of Flanders’ four strategic research centers, offers you just that – along with research in product development and production technologies to support the manufacturing industry. From smart machines, to smart vehicles and smart factories, the list of applications is long. Find out more about Flanders Make. Discover Flanders’ strategic research centers. Based in Ghent and Leuven, imec performs world-leading research in nanoelectronics, enabling innovative mechatronic applications. Some of these include microelectromechanical (MEMs) and nanoelectromechanical systems (NEMs), ranging from smart sensors, actuators and power scavengers, to biochips, micro-implantable appliances and solar cells. Learn more about micro- and nanoelectronics in Flanders. ReMI – Short for ‘Reliability in Mechatronics and ICT’, the ReMI research center focuses on the reliable and sustainable performance of systems where electrical energy, automation, electronics, signal processing and ICT play critical roles. Flanders’ Mechatronics Engineering Center (FMEC) – Part of the ReMI research center, FMEC focuses its research and services on the global reliability of electronic systems. This includes: electromagnetic compatibility and signal integrity, mechanical and thermal behavior of electronic systems, environmental testing and aging, risk analysis and safety in industrial applications. M&M - The competence center Machine Building & Mechatronics (M&M) seeks to create ‘Factories of the future’ through cross-fertilization. It relies on expertise from Sirris, the province of West Flanders, and large industrial partners, research institutes, universities and colleges. The knowledge hub fosters tech leadership in Flanders and facilitates sustainable employment for over 30,000 people. Mechatronics is adding an extra layer to additive manufacturing (AM), and is crucial to developing new AM processes and control, diagnostics, and material delivery systems. Likewise, 3D-printing enables the development of novel mechatronic devices. To enable this interaction, organizations like Sirris, Agoria, Flanders Make and Flam3D work closely with AM research departments at all the major universities and university colleges in Flanders. When it comes to 3D printing, Flanders has always been at the forefront and continues to lead the way. 30 companies and research institutes are cooperating on 3D printing project ‘Family of the Future’. It is a unique collaboration, one that has never been seen before on this scale in any other sector. The aim is to demonstrate many 3D printing technologies and show how they can add real value across a wide range of sectors. Without mechatronics, robots and cobots wouldn’t be realities. Flanders not only boasts decades-spanning academic and R&D expertise in robotics; the region is also home to numerous successful industry players that are shaping the world of robotics. Learn more about robotics in Flanders. In a world first, Octinion – from Leuven, Flanders – designed and developed a robot that recognizes, picks, sorts and checks the quality of ripe strawberries in greenhouses. It does this autonomously by means of multiple cameras that determine where the strawberries are located and how ripe they are. Furthermore, farmers can use the data collected by the picking robot to optimize their greenhouses. Source: Make it in Belgium, an initiative by technological industry federation Agoria. Building smart factories requires mechatronics, digitization and the Internet of Things to go hand in hand. Flanders is home to some of the world’s most innovative R&D players, which support this ambition. To give just one example, the region’s strategic research center for nano- and digital technology – imec – empowers companies to ride the wave of 4th industrial revolution. In addition, strategic research center Flanders Make plays a major role in enabling smart factories through mechatronics research. 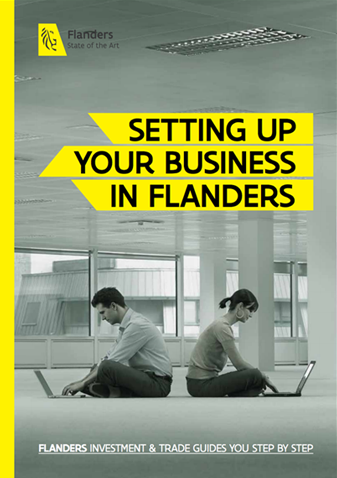 Find out more about Flanders’ digital industry. Based in Kapellen, J-TEC designs systems and machines for the processing of powder pellets, liquids and other materials. The company uses virtual reality (VR) to enable its customers to discover and manipulate the machines it produces throughout the design process. This, by means of VR glasses and realistic 3D representations. Source: Make it in Belgium, an initiative by technological industry federation Agoria. By 2050, Europe aims to reduce its greenhouse gas emissions by no less than 80% compared to 1990. The manufacturing industry plays a crucial role in achieving that goal, and looks to the field of mechatronics in hopes of developing clean technologies. Flanders combines the knowhow and expertise of both worlds. Strategic research center VITO, for example, conducts multi-disciplinary research in cleantech, sustainable development and more. Discover more about cleantech in Flanders. To build the most energy-efficient weaving machines in the world: that is why Picanol – a machine manufacturer from Ypres – participated in ESTO-MAD. The goal of this European project is to develop energy software tools for sustainable machine design. It aims to consider the energy consumption of both the individual parts and the entire machines as fixed parameters in development software for industrial machines. Picanol produced the benchmark for the ESTO-MAD project: a rapier weaving machine that goes by the name of Optimax and uses 10 to 15% less energy thanks to adaptations to the weft drive system. Source: Make it in Belgium, an initiative by technological industry federation Agoria. Discover Flanders’ universities and university colleges.